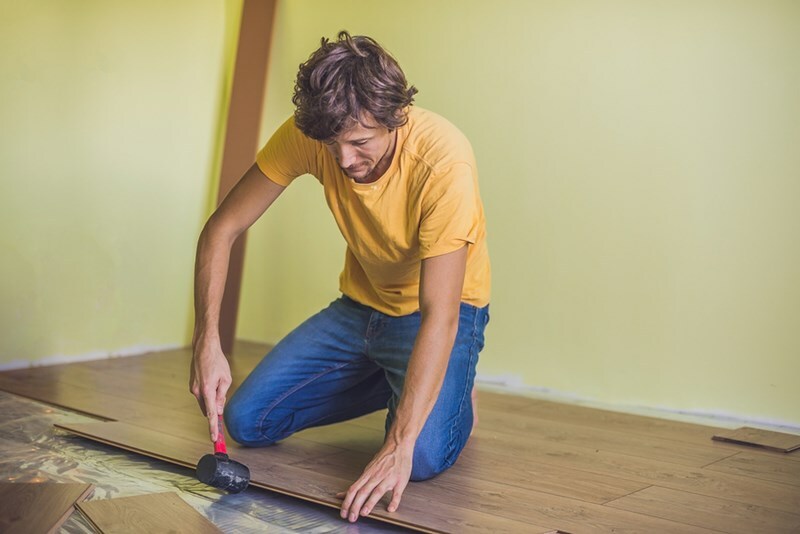 If you are considering refurbishing your floors or giving your home a new and warm look, you should consider hardwood flooring pros and cons before deciding. Should you refurbish with hardwood flooring? There is little to match the stylish finish of a hardwood floor. They are great for families and can add real value to a home. But they are also expensive to install. On the other hand, they can last for decades, especially as they are easier to repair than most other types of flooring. If you are thinking about installing a new floor, it’s likely that you are considering hardwood flooring. Before making your mind up, read these hardwood flooring pros and cons. There is no comparison when it comes to a stylish, warm, and elegant look. Hardwood floors make any room look welcoming. And with a wide choice of finishes available, a hardwood floor will suit any room, too. Providing you maintain a hardwood floor – including refinishing when needed – it should last a long time, and probably outlast you. Hardwood floors are easy to look after. They can be swept and vacuumed to remove everyday dust and grime, and can be shined with a wood cleaner once in a while. Hardwood floors can be refinished multiple times, and they can be easily repaired even if they get gouged. Not only do hardwood floors suit any room and come in a huge range of styles, they can also be given a completely new look simply by adding a rug. Throughout their lifetime and several updates of room style, a hardwood floor can meld with new furniture, fixtures and fittings with little problem. Before you get carried away – and it really is easy to when it comes to hardwood flooring – you should consider the disadvantages of opting for hardwood floors over laminate floors. All the style, versatility, durability, and ease of maintenance comes at a price. Hardwood floors are not cheap. Installation costs are more expensive, too. If you have a cool house, hardwood floors will be cold underfoot. This is especially so in winter. You’ll probably need slippers and a couple of rugs. While technology has helped to make hardwood floor finishes more durable, they are still prone to scratches. You’ll need to be careful of foot traffic, and they may not be the best option if you tend to move furniture around often. It’s a good job they can be refinished with ease. Hardwood floors show the dirt, so you will find that you’ll clean them more often. It’s probable that you will need to sweep or vacuum hardwood floors every two to three days. You’ll hear every step on a hardwood floor. They alter the acoustics of a house, too, and other sounds may echo around, especially in the dead of night. You should think carefully about the type of flooring that will be best for you. Hardwood flooring can last for decades if it is kept well. But if you don’t relish cleaning every two or three days, then laminate may be better. You should also consider what type of traffic your floor is likely to get – kids running around most of the day is likely be like a drum kit being played non-stop. On the other hand, if it is within your budget, a hardwood floor will provide an elegance and style that will probably outlast you, and is likely to add value to your home. For help making the decision between laminate flooring and hardwood flooring, read our previous article, “The pros and cons of laminate flooring”, or contact Porter's today. We’ll help you answer the questions you need and find the best flooring solution within your budget.